There are common themes across every medical specialty we support: patients want to get better and physicians want simpler, more effective options. That is why we work hard to improve our minimally invasive medical devices and the way they are delivered to hospitals and physicians around the world. We are family owned, but we are not small. More than 10,000 people around the world call themselves Cook employees, and we work with many distributors who we consider an extension of Cook. 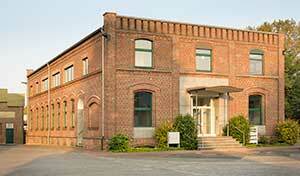 Our sales representatives can be found in most countries through Europe. We have been manufacturing products in Europe since 1969, and our products are available across Europe, Africa, and the Middle East. Being a family-owned business, we do what is best for the patient. We have the freedom to work through a problem for as long as it takes to find the simplest solution. Cook Medical has been in Limerick since 1993, starting out with labeling and distribution and steadily growing and evolving to include manufacturing, centralised customer support, and on to collaborative product development in the Innovation Centre. 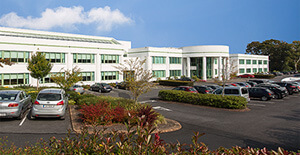 The Ireland location is our European headquarters and houses our EMEA Support Centre. This location currently employs more than 800 people and manufactures 10 percent of Cook’s products for global markets. In 2011, we won the Irish Medical Technology Company of the Year award at the fifth annual Medical Technology Industry Excellence Awards. 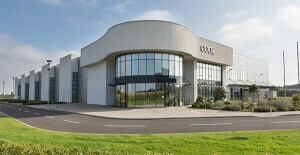 Learn more about life at Cook Medical in Limerick, Ireland. The Innovation Centre, which opened in November 2013, is a dedicated place for us to do what we have always done best—collaborate with physicians to solve problems and develop new products and treatments. Not only does the centre look cool—it is equipped with the latest technology to recreate and simulate clinical conditions, enabling improved device testing and better product designs. 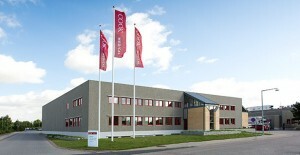 Chosen as the first European location for Cook Medical in 1969, the Denmark facility allowed the company to grow into new markets and build collaborative and long-lasting relationships with forward-thinking physicians in Europe. The company has steadily grown from only two employees at the original location in Søborg, Denmark, to now employing more than 800 people in our state-of-the-art facilities in Bjaeverskov. In this location, product manufacturing, quality assurance, regulatory affairs, research and development, sales and marketing, and many support functions play a huge role in Cook Medical’s global initiatives. Opened in September 2012, this purpose-built facility consolidated warehousing and shipping from multiple Cook locations in Europe. Baesweiler is one of the most efficient logistics locations in Europe and is convenient to multiple methods of delivery—airports, motorways, and rail networks. This provides our business and patients with increased assurance that we can get the products to the right place at the right time. The facility was built with energy-efficiency in mind, incorporating solar panels and advanced insulating materials. The Delivery Centre processes are paperless while air pillows replace serrated paper in padding for shipments. Approximately 80 employees stay very busy at the centre, handling receiving, storing, picking and packing, shipping, returning, and labelling medical devices. The Mönchengladbach facility, which opened in 2014, has separate training spaces for our Interventional Radiology, Lead Management, and Urology clinical specialties. The Barcelona facility, which opened in 2012, houses the training areas for our Reproductive Health, Critical Care and Peripheral Intervention specialties. Both facilities feature many learning spaces designed for all forms of training–from engaging discussions and presentations through to hands-on trainings, complete with anatomical models for product demonstrations. Our aim with these facilities is to create an environment where knowledge is gained and where physicians and industry can come together to work toward the common goal of improving patient care. The EMEA Support Centre provides a friendly and experienced single point of contact in 12 native languages. The multicultural team helps customers manage orders, inventory, contracts, tenders, and pricing. We work collaboratively with our clinical divisions and Healthcare Business Solutions team to continuously enhance Cook services and provide the best experience for our customers and, ultimately, the patients. For information about job opportunities at these locations and on our in-country sales teams, please look at our Careers page. More than 550 field-based Cook staff are located across Europe. Cook employees come from many countries, bringing special skills and experience as well as diverse beliefs and values. The qualities we all share—determination and dedication to improving patient treatment worldwide—are what create Cook’s unique culture. Cook’s first European location was in Søborg, Denmark. The staff members at our Ireland location are from 28 different countries. 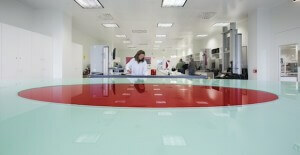 Our EMEA Delivery Centre ships more than six million products annually to more than 100 countries. There are more than 10,000 Cook Medical employees globally.